Hello everyone. I am Akash Gupta, AIR-128, CSE-2016. I would like to share my notes making strategy with you. 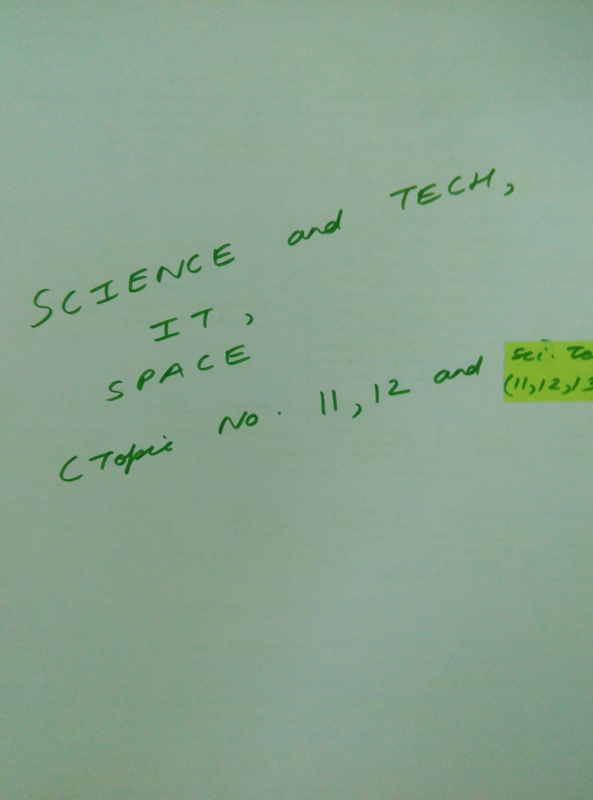 I didn’t make any notes in the earlier attempts, but this year I made extensive notes paper-2 & 3 and selected notes for the rest 2 papers (Paper-1-Art & Culture and paper-4-Lexicon). 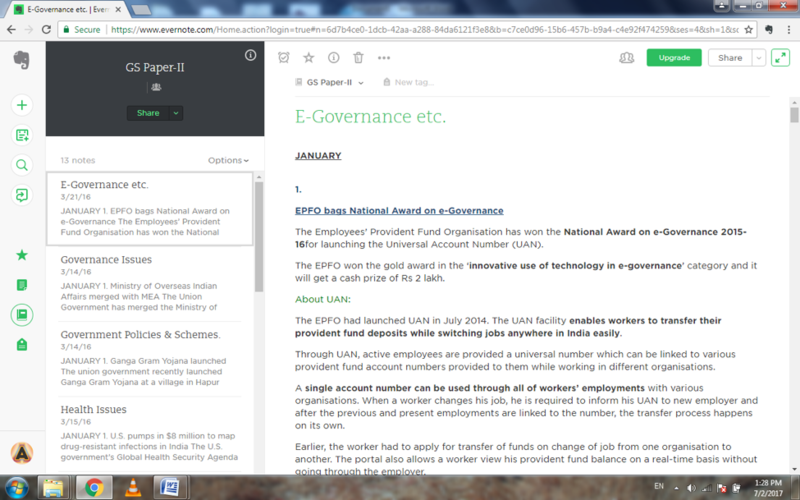 I made notes starting from January-2016 on EVERNOTE only from Daily Current Events+Editorials of Insights. I had made 5 Notebooks, 4 for each GS Paper and 1 for editorials. 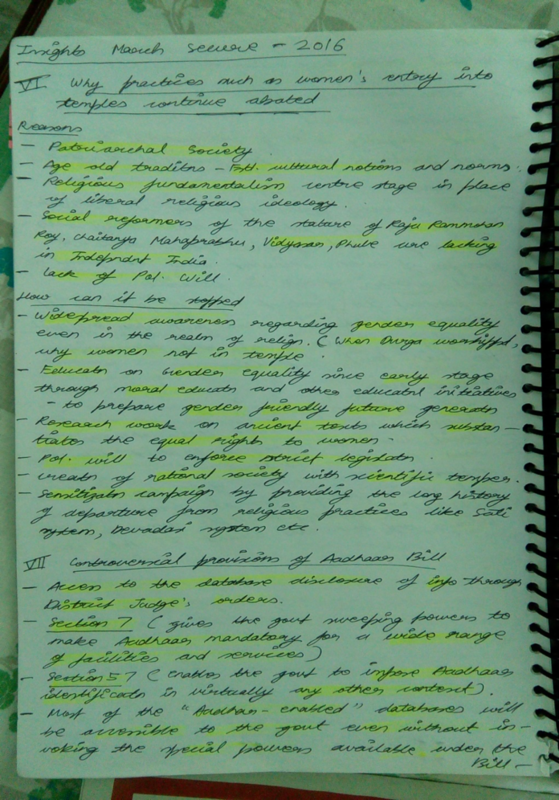 The 4 GS notebooks were divided into notes with headings according to our GS mains syllabus. 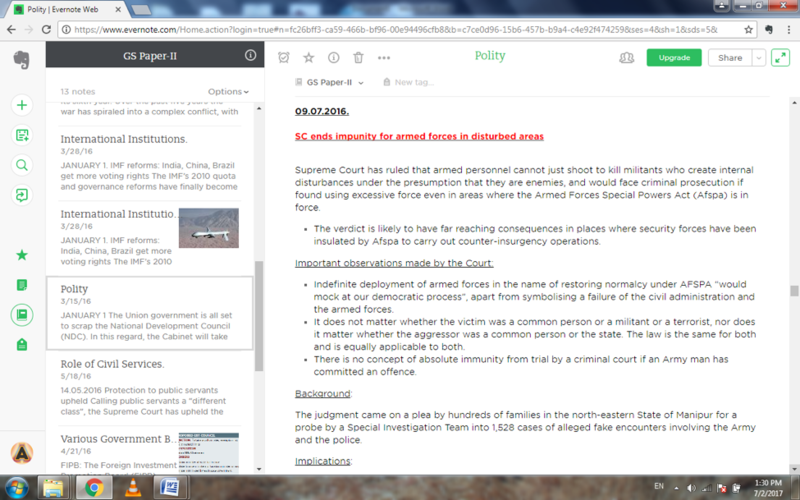 I would copy paste everythin I wanted from the Daily current events into the respected note. 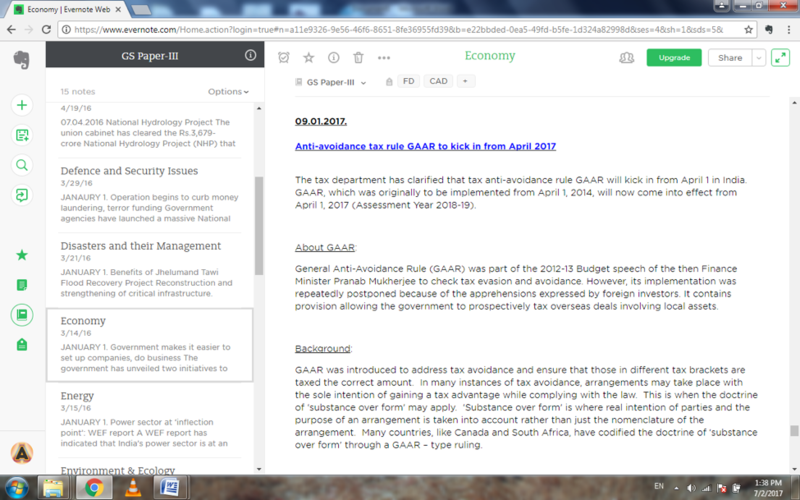 Another example: Suppose you get a news item pertaining to “Economy” part. 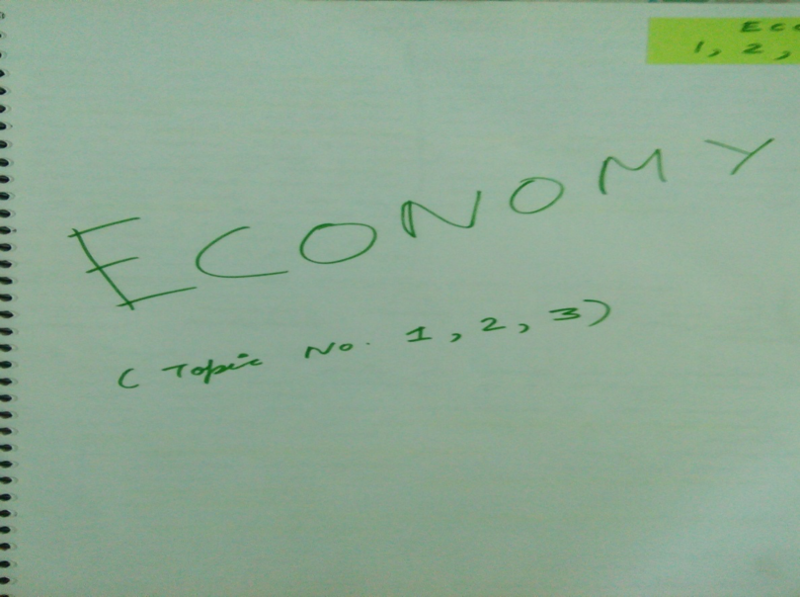 So I will go to GS-III folder and paste it in the “Economy” note. 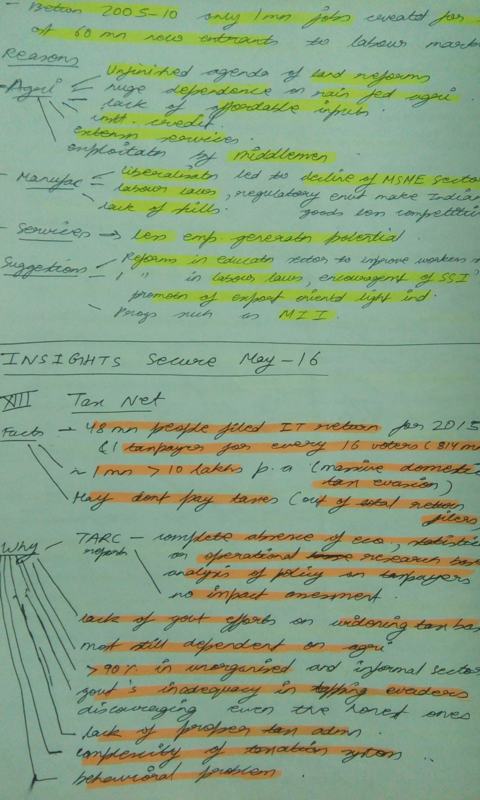 In this way, I made notes of Insights Daily Current Events from January-2016 to October-2016 for Civil Services mains Exam-2016. 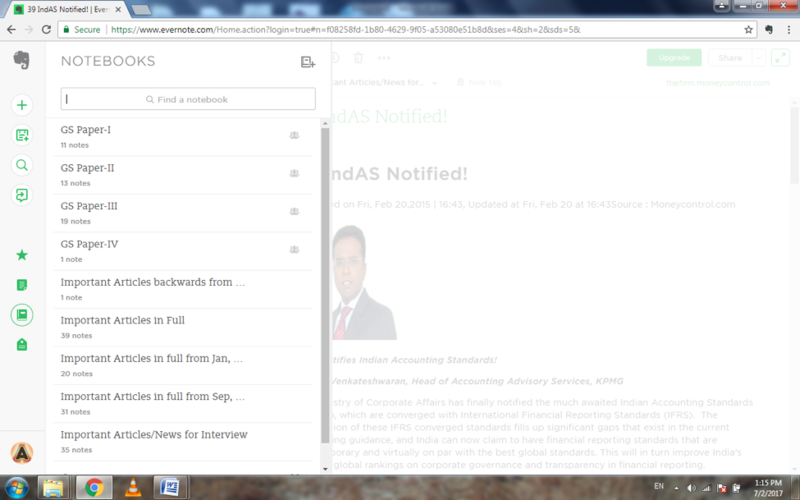 Apart from the notes on Evernote, I made hardcopy notes also. They were made from SECURE-2016 MONTHLY COMPILATIONS of Insights. 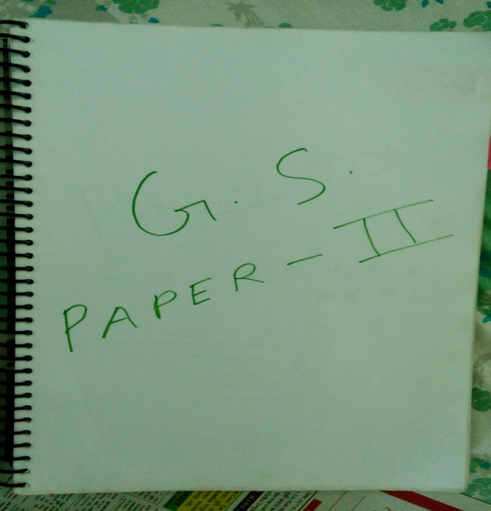 I made notes of Secure for GS Paper-2 & 3 only. For GS Paper-1, I didn’t make notes but only read the Secure. I made two registers, one for GS Paper-2 and one for GS Paper-3. 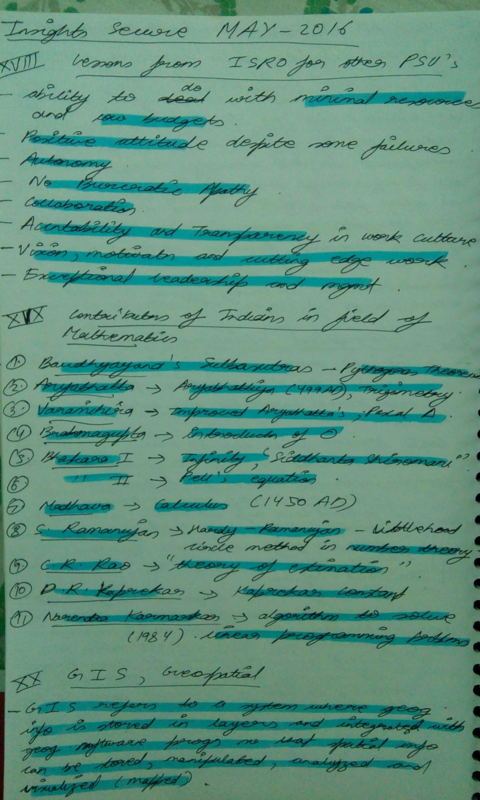 The registers were divided into various parts according to the syllabus. 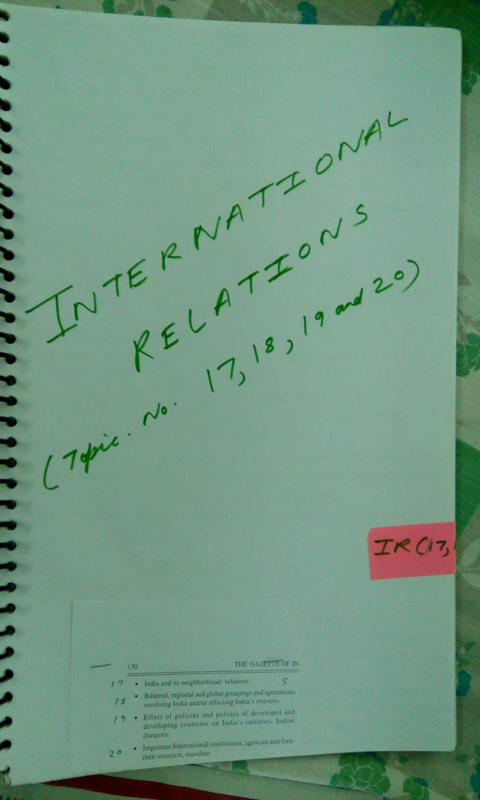 GS paper-2-the register was divided into Polity, Government Policies & Welfare schemes, IR etc. 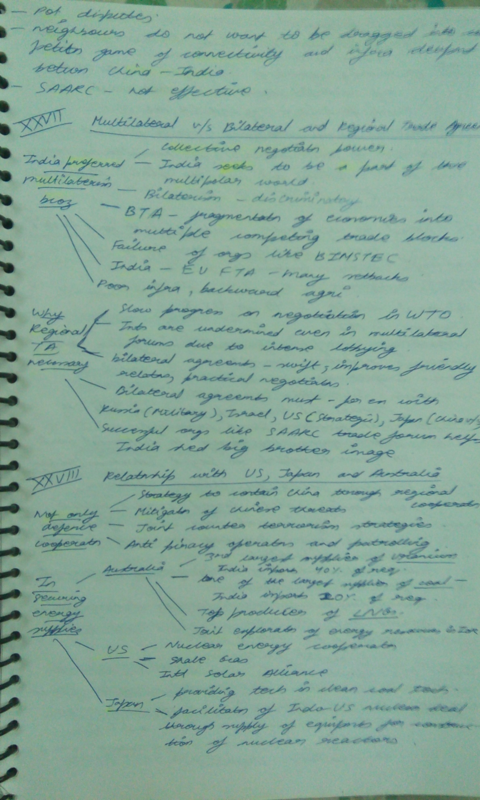 So this is how I made notes. It might look as cumbersome and difficult at this moment. But it is very easy if you are regular with this. You might not realise the benefits while you are doing it but I assure you, it has great ROI (return on investment). You will be able to revise the whole paper within 2-3 hours in the end. One more thing i will suggest is to religiously follow one single source. You should trust whatever source you follow . So don’t run towards multiple sources in the end, just think that your source has covered all the things and you need nothing else. Also, develop the quality to weed out unnecessary stuff, it is equally important to know what NOT to study. I have just told my way of note making, your way of doing it may be entirely different. Keep faith in yourself. Everyone’s strategy is different and so is their destiny. Would like to share my preparation strategy at some point of time but for the time being I hope this is helpful. Just keep working hard and God will take care of the rest.